One way to define variable life insurance is to contrast it with other types of life insurance. You can define variable life insurance as a form of permanent life insurance that has both a death benefit as well as an investment component that is called a "cash value". 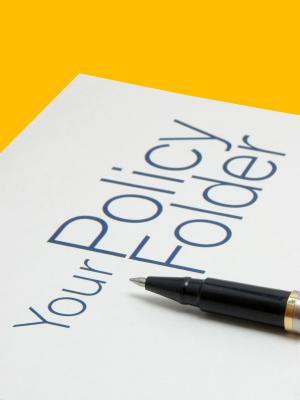 As a policy owner, you have the option of investing a percentage of your insurance premium in an investment account. This percentage can be invested in bonds, stocks, money market funds and other securities in the insurer's portfolio, thereby building your policy's cash value. There is a definite element of risk to this option, because the policy's face value at any moment depends on how successfully these investments are performing. Like other cash-value policies, you can accumulate a substantial cash value over time. With this benefit comes the risk that if your investment component performs poorly, then your cash value and/or death benefit will shrink proportionally. You can also "borrow" the accumulated funds, without having to pay any taxes on the borrowed gains. So long as the policy remains in force, you do not need to be repay the borrowed funds, although there may be interest charged on your cash value account. However, you may not withdraw the cash value without penalty during your lifetime. Another benefit of the variable life policy is that you can apply your gains toward paying your premiums, which may lower the amount you have to pay out-of-pocket. On the other hand, if your invested funds don't perform successfully, you may have to pay more out-of-pocket in order to keep the policy in force. Term life insurance is the exact opposite of permanent life insurance: it will only provide coverage for a pre-determined period of time. Unlike variable life insurance, the death benefit on a term life policy will only be paid out if the insured individual passes away during the term of the policy. If the insured individual does not pass away before the end of the policy term, then the death benefit is forfeited. Term life insurance pays out a guaranteed lump sum death benefit, and does not accrue a cash value. A variable cash value defines variable life insurance. Variable life insurance is, in fact, a type of whole life insurance, which is the most basic and common form of "cash-value" insurance. However, whole life insurance offers a fixed premium, fixed rate of return as well as guaranteed cash values. With a whole life policy, the death benefit is guaranteed for life. As its name suggests, the premium, rates of return and cash values all vary on a variable life policy. Whole life insurance offers a single monthly premium, which you will typically have to pay for as long as your policy is in force. On a variable policy, you have the option of paying an amount larger than the regular premium, which will go toward your cash value. Also called flexible premium life insurance, universal life insurance is simply a flexible form of whole life insurance. It allows for you, as a policyholder, to vary the frequency and amount of your insurance premiums. You may also change the policy's death benefit as your particular needs change for life insurance. Variable life insurance does not offer this flexibility. Another key difference is that with a variable life policy, you have the choices of the particular investment vehicles you want to use and the choice of increasing or decreasing the amount you invest. These options are not available to with a universal life policy. Variable life insurance offers a combination of life insurance coverage and investment tools that can build up your assets for retirement and provide for your heirs when you pass on.